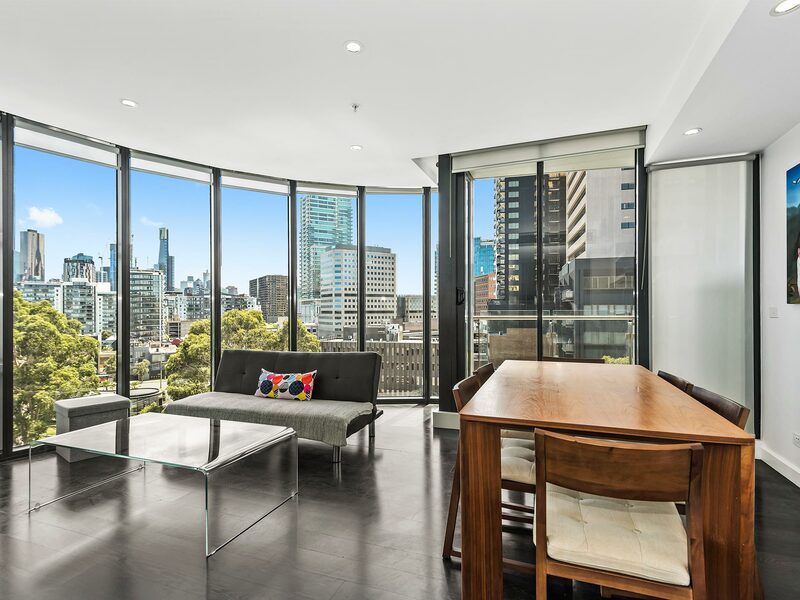 Spacious 2 Bed 2 Bath Beauty With Stunning City Vistas Instantly inviting from the first step inside, this superior 2 bedroom apartment has been masterfully designed to maximise northern light (while avoiding extreme afternoon heat) and stunning city views. Discover spacious open-plan living and dining, a stone-topped kitchen with cafe-style stainless-steel bench opening out to a roomy balcony overlooking the city. Comprehensive additional features include secure car park. • 2 large ...morebedrooms both with BIR, master with own ensuite.• Versatile 2nd bedroom could work well as home office or private lounge.• Designer kitchen with Miele oven, Fisher and Paykel drawer dishwasher and mirrored splashback.• Fully tiled ultra modern bathroom with separate European laundry.• Temperature-controlled, ducted reverse-cycle heating and cooling. Take advantage of a prime city-edge position moments from the CBD, Albert Park Lake, South Melbourne Market and Southbank Promenade. This is truly living!